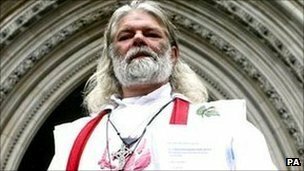 A druid who has lost his second legal bid to get human remains reburied at Stonehenge has said he will fight on. King Arthur Pendragon claims the cremated bones discovered in 2008 are the remains of members of the royal line and wants them re-interred. Having lost a High Court bid to have the bones reburied in 2011, permission to take the case to a full judicial review has also been refused. But the druid leader said it was “by no means the end of the campaign”. 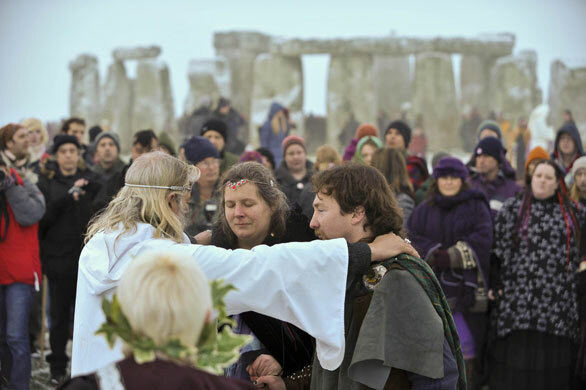 The cremated remains of more than 40 bodies, thought to be at least 5,000 years old, were removed from the burial site at the ancient stone circle in Wiltshire in 2008. But Mike Pitts, one of the archaeologists who found the remains, said they did not uncover “individual burials” but bone fragments that were “very small and damaged”. “What we’re attempting to do is to isolate individual people, to recognise bits of bone that came from individuals, within this mass of bone that was just dumped in a mass like broken up Weetabix at the bottom of this pit,” he said. Ministers gave permission to allow the bones to be examined at Sheffield University until 2015. But Mr Pendragon has vowed he will continue his fight to have the remains reburied. “The judge in refusing to let me take this particular case did say that if they [the remains] do not go back in the ground in 2015 – which the current licence says they’ve got to be – that I will take another case against them,” he said.